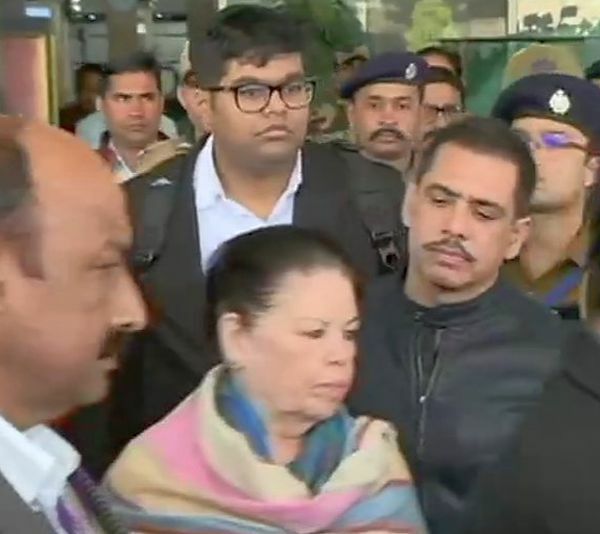 Robert Vadra, Congress president Rahul Gandhi’s brother-in-law, made a fresh appearance before the Enforcement Directorate on Tuesday in Jaipur in connection with a probe into an alleged land scam in the Rajasthan’s border town of Bikaner, officials said on Monday. Vadra’s mother Maureen also appeared before the central probe agency about 10 am at its zonal office on Bhawani Singh Road in Jaipur Tuesday. The appearance before the ED in Jaipur is directed by the Rajasthan high court which asked Vadra and his mother to cooperate with the agency after they approached it seeking directions that no coercive action is taken against them by the agency. Officials said the investigating officer of the case will record the statement of Vadra and his mother under the Prevention of Money Laundering Act.